For Corbett Griffith III, divorce and two busy parents mean goodbye city life, hello great outdoors. When his mother sends him to his uncle’s fishing resort for the summer, Corbett feels he is doomed. But that changes when he meets 11-year-old Pike, who quickly renames him Griffy and pulls him into one mischievous adventure after another. Griffy and Pike are stunned to hear that a seventy-pound monster muskie is on the loose. They resolve to catch the ferocious fish, no matter what. Think alligator. Think prehistoric beast. Think mean. 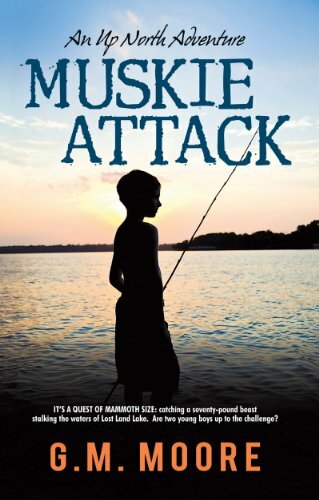 Will they be able to catch the muskie and stop it from attacking anyone or anything?